HOUSTON – (By Dale King, Realty News Report) – Chances are if you live in a multifamily dwelling, you’ll hear lots of delivery trucks roaring through your neighborhoods this holiday season. There’ll be a spike in door knocks and doorbell rings and lots of reindeer paws clattering on your roof. Just in time for the holiday delivery season, the 2018 National Multifamily Housing Council (NMHC)/Kingsley Package Delivery Report says some major retail stores are easing shipping rules and delivery companies are revving up their trucks to accommodate an anticipated hike in cyber-driven package distribution through the end of the year. How crazed may things get? The report says retailers such as Target and Amazon have temporarily eliminated the minimum purchase requirements for free shipping. National Retail Federation research shows 55% of holiday shoppers are planning to purchase presents online. And on top of that, United Parcel Service projects it will deliver 800 million packages this season, with record demand expected between Black Friday and New Year’s Day. The NMHC/Kingsley report says package conveyances to multifamily buildings are also on the rise, with the average apartment community receiving nearly 150 packages a week. This number jumps to 270 a week during the holidays – an 81% increase, the document says. This puts the squeeze on property managers. More than a third of them say their building’s package storing solution is not adequate for high volume periods. To further complicate the matter, packages are becoming more difficult to store, with residents ordering heavy, oversized and perishable items. 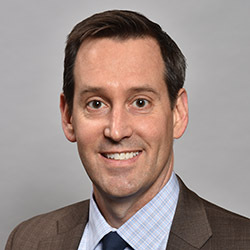 “How people shop has evolved significantly in recent years and the multifamily industry is tasked with finding new and creative ways to meet the demand for storage, sorting and security,” said Rick Haughey, vice president, Industry Technology Initiatives, National Multifamily Housing Council. “Our research shows that property managers are embracing technology solutions and figuring out what works best for their individual properties.” Among these many considerations are on premise versus offsite storage, use of an electronic management system and how to manage increased costs for handling the growing volume of package deliveries. Most buildings (77%) now have a dedicated space for package storage, with lockers showing up as the preferred technique among respondents. Eighty-five percent of package rooms were reported as secured. Camera systems and controlled access touchscreens are most common, coming in at 58% and 50% respectively. Finally, once all those boxes are opened, what happens next? Fifty-four percent of respondents say they accept and hold return packages for carrier pick-up while 41% report the large volumes of cardboard and packaging materials being disposed of have created a waste management challenge. The NMHC/Kingsley survey was conducted in September 2018. It includes responses from property teams at 2,098 communities representing 543,900 units. Twenty-nine industry-leading firms participated.